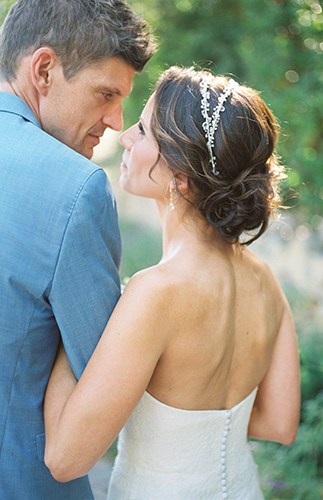 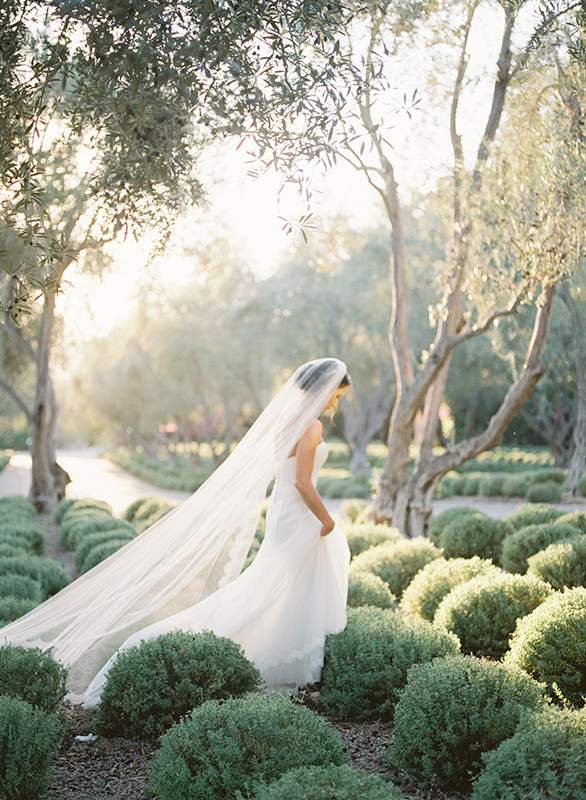 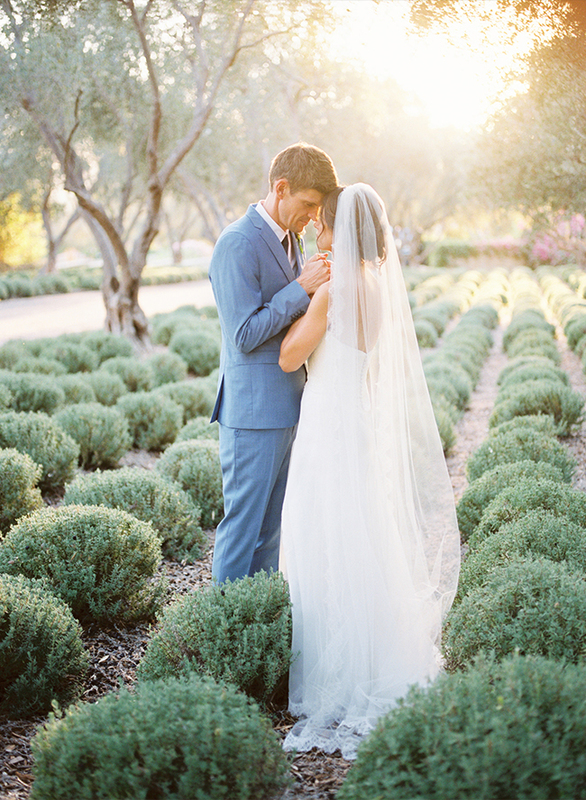 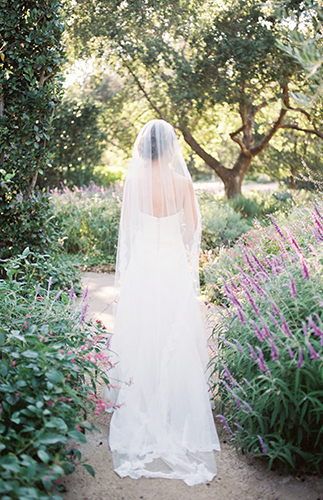 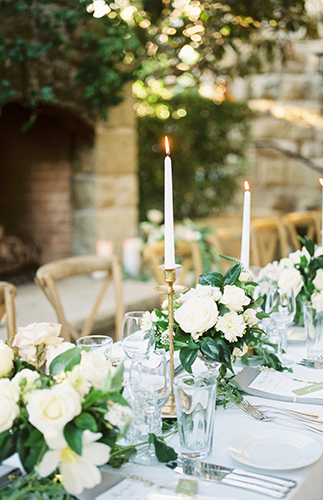 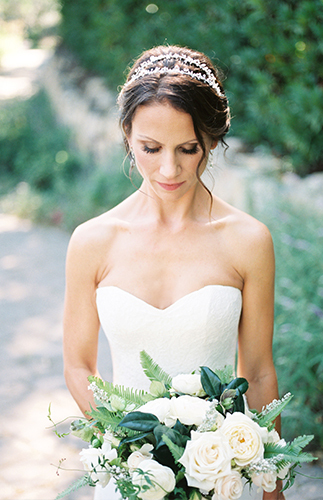 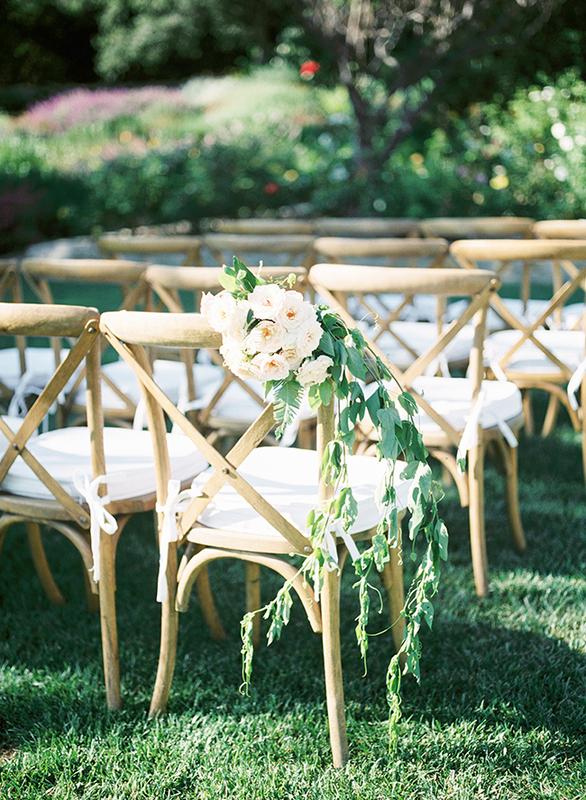 This garden wedding at San Ysidro Ranch is as enchanting as they come! 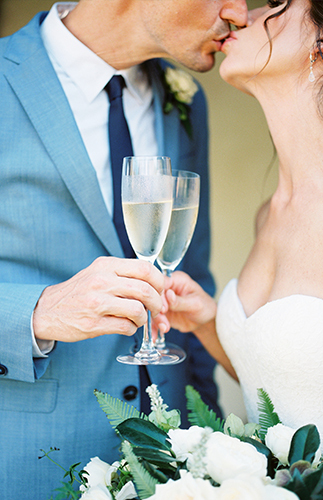 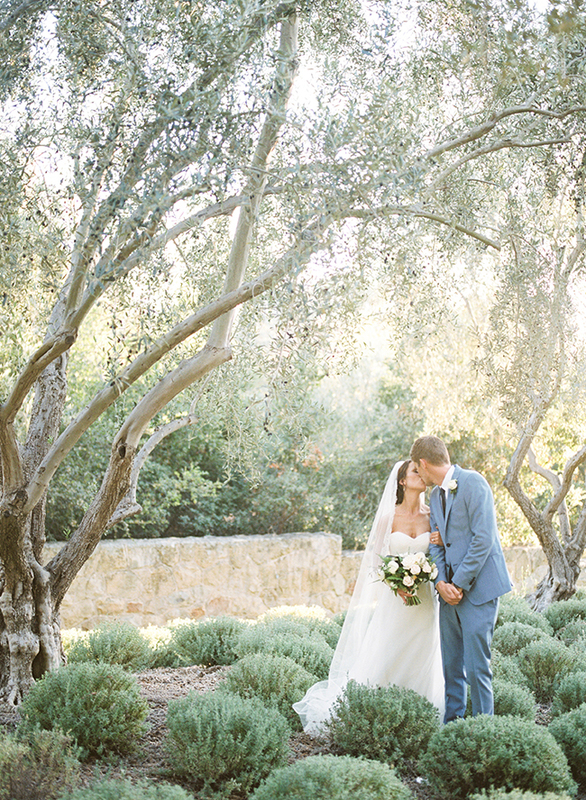 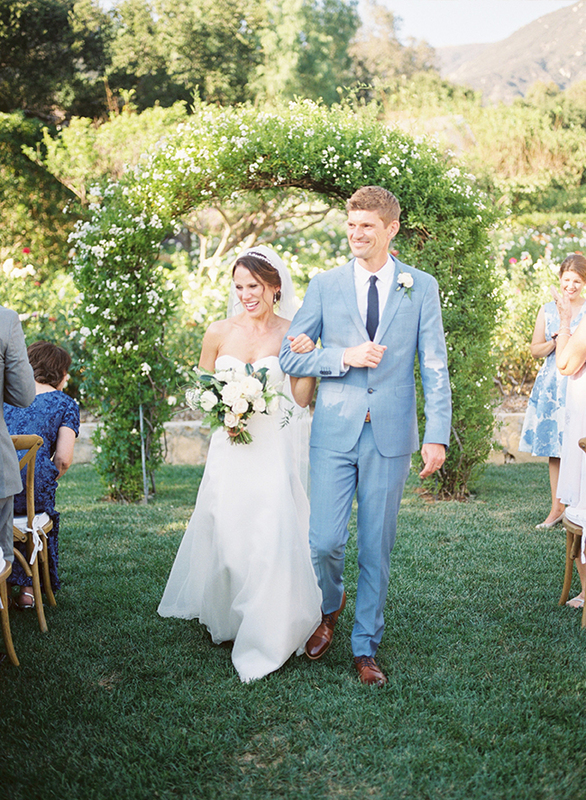 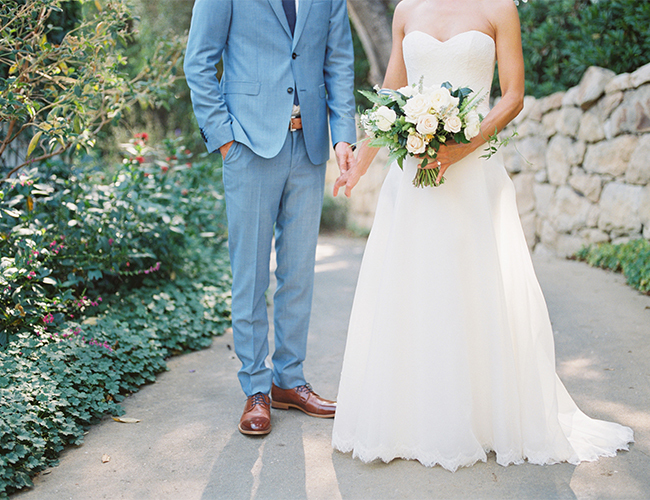 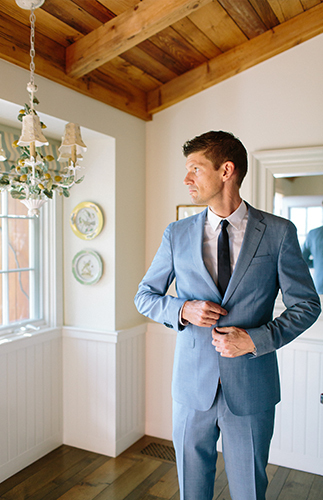 We’re excited to share the Santa Barbara nuptials on our wedding blog today! 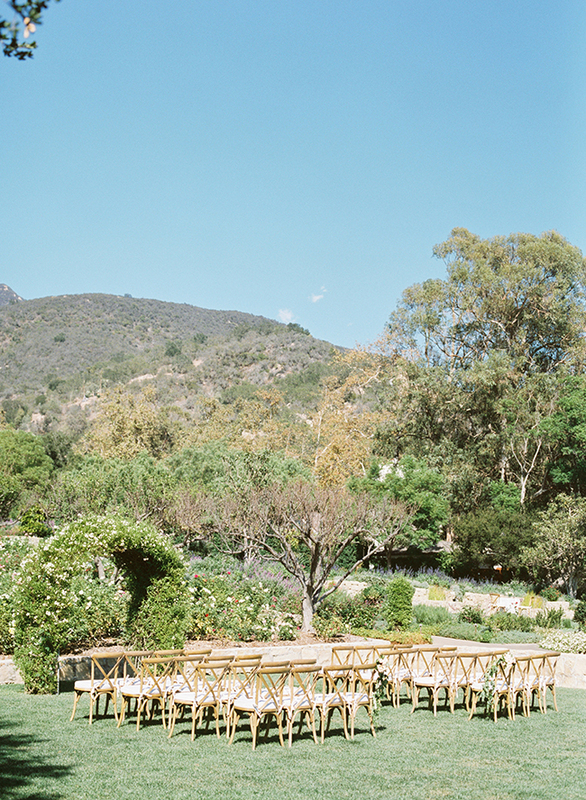 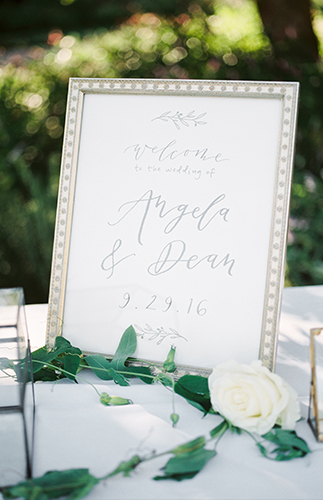 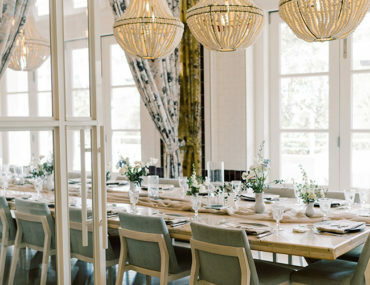 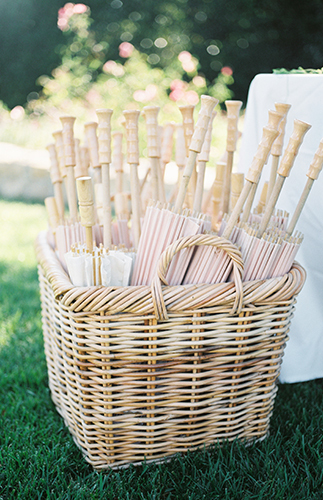 The secluded ranch was the perfect setting for the classic & elegant outdoor affair. 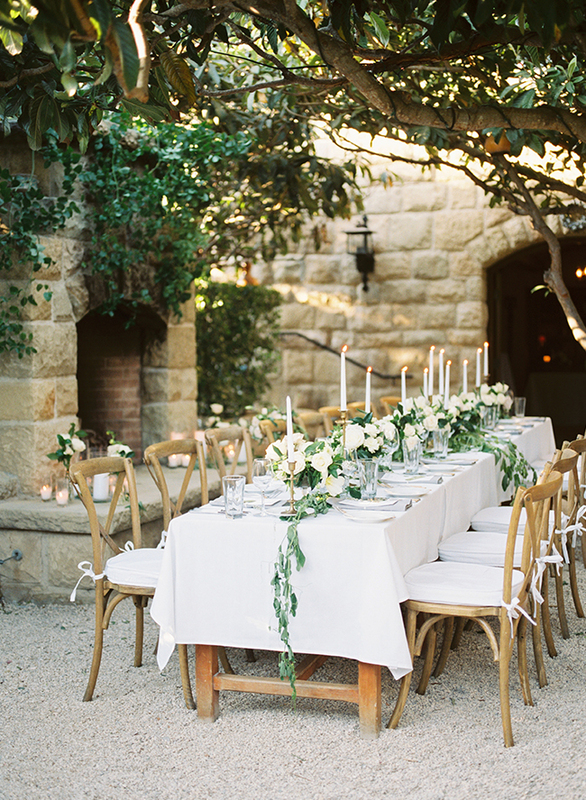 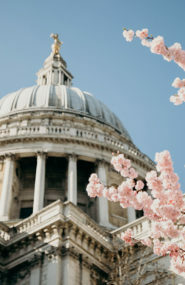 And ivory blooms complement the setting and courtyard reception beautifully. 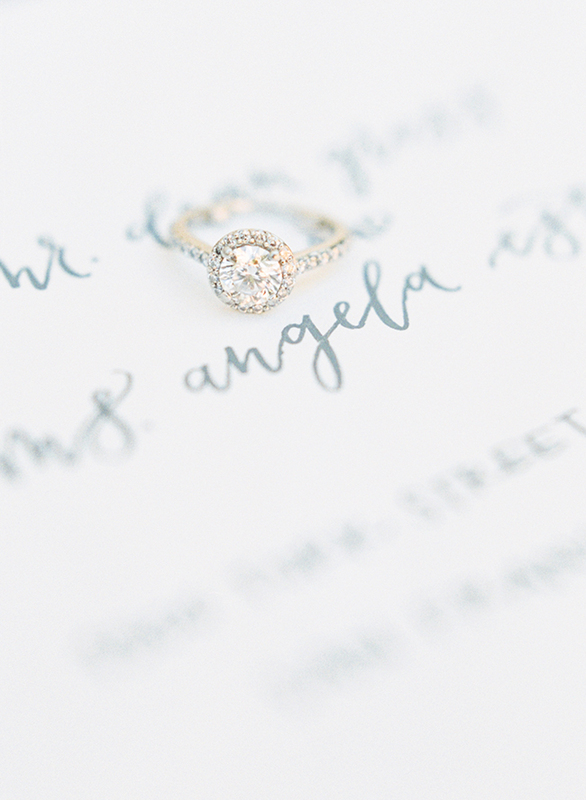 Amanda K Photo Art brings it all to life for us here through stunning photographs! 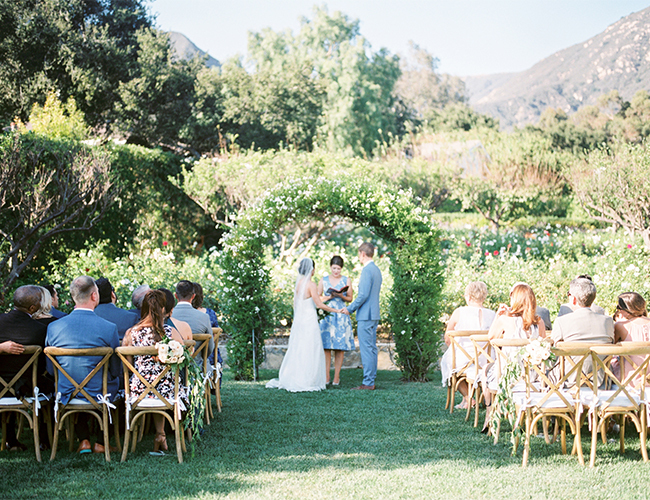 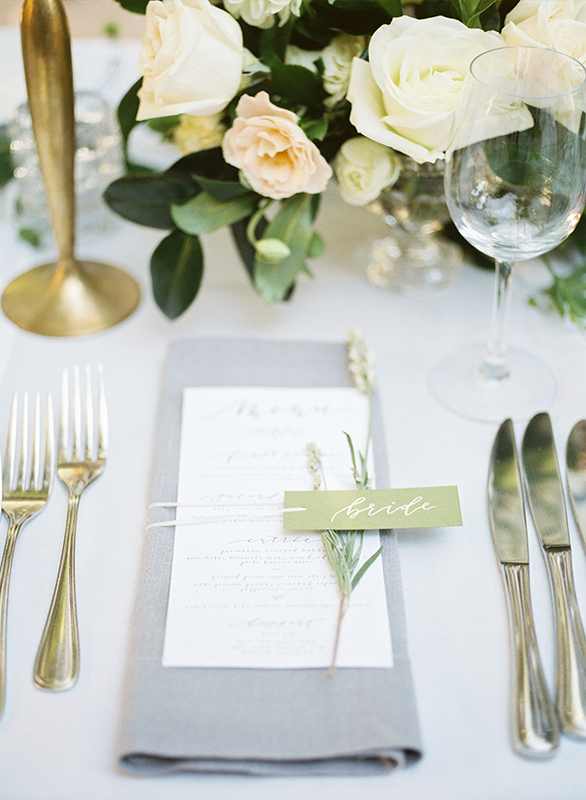 The vision for the wedding was an intimate garden ceremony and an outdoor dinner reception. 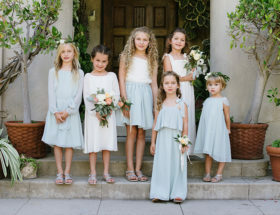 All together shared with a close group of family and friends. 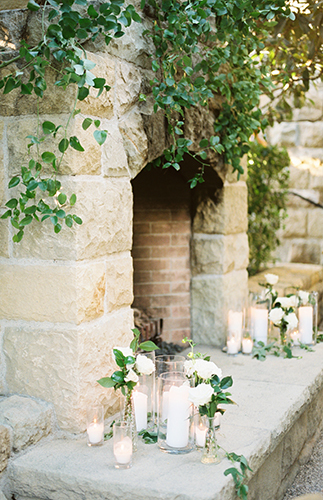 Guests gathered around a stone fireplace on the wine cellar patio of the venue, where twinkle lights adorned the outdoor space. 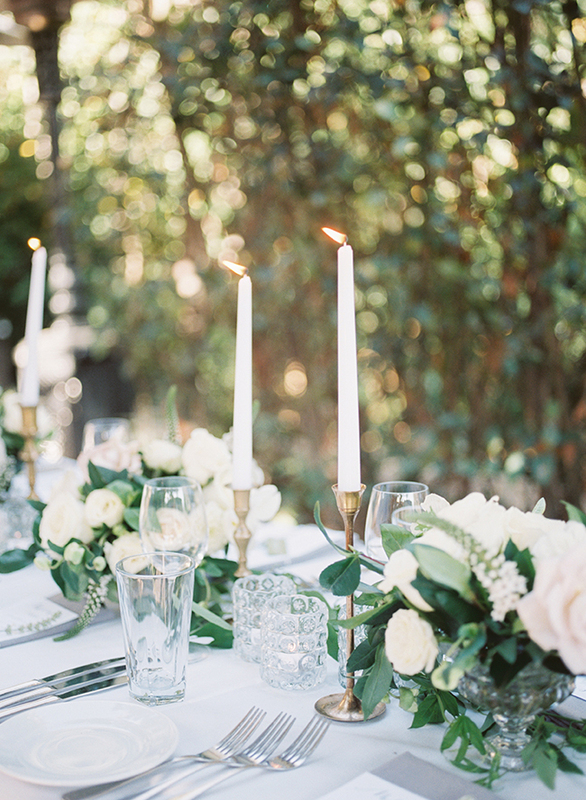 Meanwhile, an acoustic guitar played in the background and set the mood. 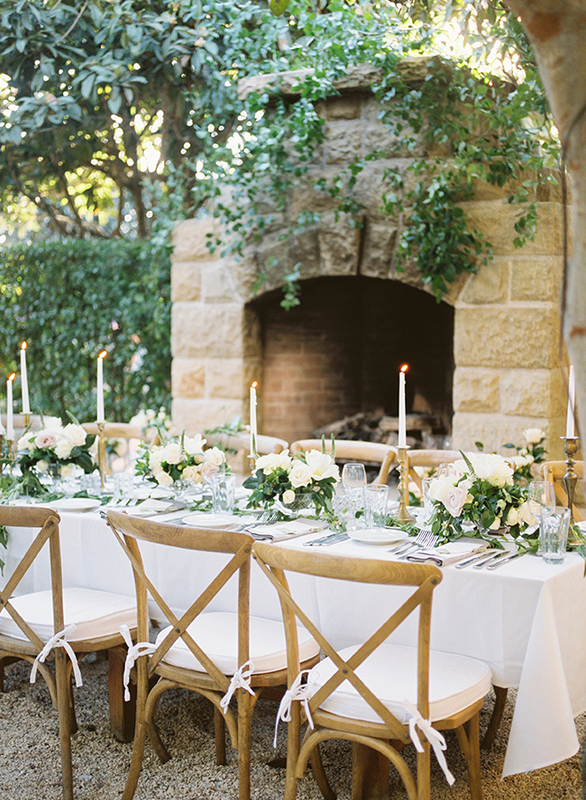 It all made for the most romantic setting to enjoy with family and friends, good food and amazing wine.